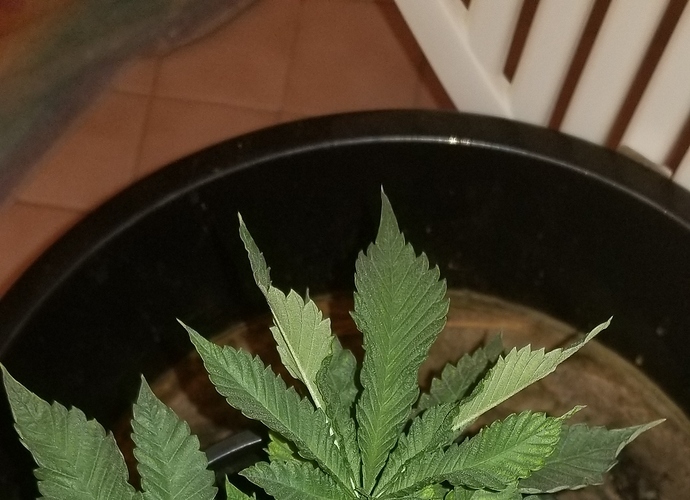 The Pennywise runt (5 inches tall) may be female; strange crinkled leaves are in praying position and her branches are nearly as thick as her stem. The remaining six plants range between 12 and 19 inches in height. 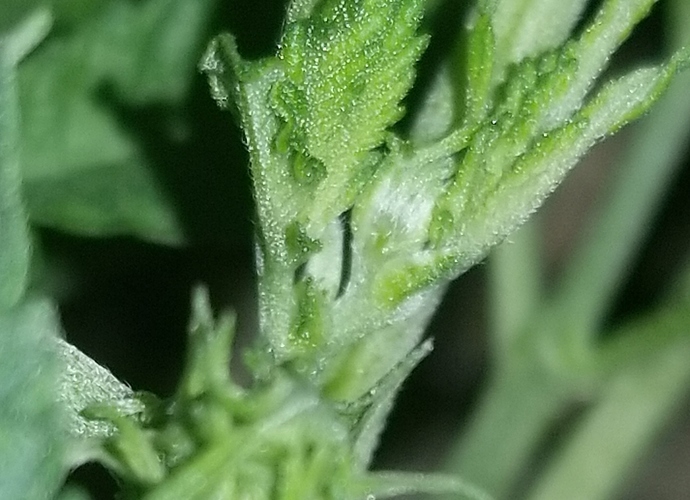 The 4 tall Pennywise ladies exhibit multiple bud sites. The pair of Queen Mothers are taking their own sweet time. The plants appear healthy, enjoy their meals and smell like a bakery. I use small pots and have to feed more often. I have jugs of supplements (Black Knight, ewc tea, Coots rehydrated kelp and alfalfa) that are blended with sprouted seed tea, grains, coffee grounds, fresh greens, etc. When the soil level drops its time for a top dressing. The 2 gallon pots are too heavy on my bad days and I can only move one 2 gallon pot at a time on my walker. I can handle 3 small pots in an oil pan. LAB decomposes the dead roots and breaks down amendments. It's like growing in an endless coffee cup but it gets the job done. I often have problems with fungal damping off with real seed co stock, especially ones that were gathered from their native environments like the nanda devi. Let me know if you figure something out that helps improve their viability. For their lebanese, I had pretty good results using a little bit of powdered humic acid in the seed soak. It helped them sprout and establish more rapidly, which seemed to avoid the problem. I'll be trying to start their malana cream stock from 2014, I don't have many of those so I'll probably be trying the classic commercial method of soaking in water with a drop of peroxide for sterilization. I'll let you know how that goes.